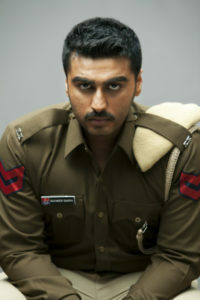 Known for perfectionism, Dibakar Banerjee worked relentlessly for 2 days to crack Arjun Kapoor’s Cop Look in Sandeep Aur Pinky Faraar. Arjun plays a Haryanvi cop in YRF’s forthcoming entertainer Sandeep Aur Pinky Faraar and his look had the internet buzzing when it was launched on Tuesday. Cracking this look – authentic yet distinctive – took a fair bit of time and effort on the part of both director Dibakar Banerjee and Arjun Kapoor. YRF’s Sandeep Aur Pinky Faraar co-stars Parineeti Chopra and is set to release on August 3, 2018.